The Psychological Society of Ireland (PSI) is delighted to announce a public lecture on 1 December. This will be the final lecture in a series of five public lectures running from September to December 2016. Registration for this event will be available shortly. We have truly entered a golden age of psychology. Psychological subject matter receives daily mass media and popular attention. Professional psychologists are recognised as highly trained experts with wide-ranging skills. Psychology is one of the most sought-after science subjects in education systems around the world. And more psychology research is being conducted – and funded – than ever before. But some psychologists argue that this unprecedented success now threatens to undermine the field. The problem is that despite its standing as a scientific activity – aimed at producing and using empirical evidence to resolve disputes and develop interventions – psychology frequently attracts interest from people who have ambivalent attitudes towards science. 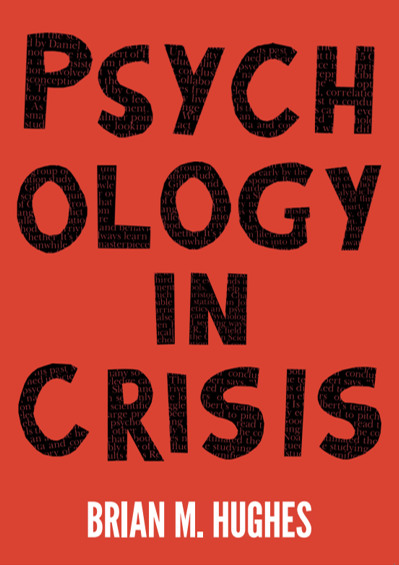 In essence, modern psychology faces a scientific crisis: it is hampered by widespread poor logic, sloppy scientific practices, unacknowledged bias, groupthink, and (worst of all, perhaps) blindness to its own faults. Bad science has become a significant problem in modern psychology. This lecture examines the extent to which imperfect science threatens the impact and credibility of psychology, and argues that society at large stands to gain when psychologists promote and defend scientific standards. Brian Hughes is a Professor of Psychology at NUI Galway, and a specialist in stress psychophysiology. He writes widely on the psychology of empiricism and of empirically disputable claims, especially as they pertain to science, health, and medicine. His recently published book ‘Rethinking Psychology: Good Science, Bad Science, Pseudoscience’ (2016, Palgrave) examines the relationship between psychology, science and pseudoscience, and explores the biases impeding many psychologists from being truly rigorous. He is a Fellow and former President of PSI. Abstract. Attempts to explain the joys and stresses of the human condition have attracted popular fascination for centuries. This led to the emergence of scientific psychology, a modern empirical enterprise that uses scientific methods to resolve uncertainties in our understanding of people’s thoughts, feelings, and behaviours. Psychology often attracts significant attention from people who hold ambivalent, or even deeply negative, views about science. This lecture considers the way science shapes the study of stress and anxiety. It considers the scientific nature of psychology, as well as ways in which scientific shortcomings creep into mainstream research, and asks: to what extent does imperfect science threaten the impact and credibility of our work? A new book by a Professor of Psychology at NUI Galway argues that many psychologists fail to take a scientific approach to their work, and that much of the field’s research suffers from serious methodological flaws. The book, ‘Rethinking Psychology: Good Science, Bad Science, Pseudoscience’, by Brian Hughes, was published worldwide this month by Palgrave, and was launched at NUI Galway this week. Anna Phillips, Reader in Behavioural Medicine at the University of Birmingham praised the book’s message for psychology students. “This book will help students to question more critically the research they read during the course of their degree, rather than simply accepting published work as quality science,” said Phillips. Hughes’s own research focuses on the links between psychological stress and physical health. He has held visiting academic appointments at the Universities of Missouri, Leiden, and Birmingham, and at King’s College London. He is the current President of the International Stress and Anxiety Research Society, and a former President of the Psychological Society of Ireland. ‘Rethinking Psychology: Good Science, Bad Science, Pseudoscience’ is published worldwide by Palgrave and available from all good booksellers. Photo 160421-8594 L-R: Brian Hughes, Professor of Psychology, NUI Galway and Douglas Carroll, Professor of Applied Psychology, University of Birmingham at the launch of Professor Hughes’ book ‘Rethinking Psychology: Good Science, Bad Science, Pseudoscience’. Photo: Aengus McMahon. Photo 160421-8637 L-R: Donncha O’Connell, Established Professor of Law, NUI Galway, Brian Hughes, Professor of Psychology, NUI Galway and Douglas Carroll, Professor of Applied Psychology, University of Birmingham at the launch of Professor Hughes’ book ‘Rethinking Psychology: Good Science, Bad Science, Pseudoscience’. Photo: Aengus McMahon. NUI Galway* is one of Ireland’s foremost centres of academic excellence. Over 17,000 students undertake an extensive range of studies at the University, which is renowned for the quality of its graduates. NUI Galway is a research-led University with internationally recognised expertise in areas including Biomedical Science and Engineering, Web Science, Human Rights, Marine Science, Energy and Environmental Science, Applied Social Sciences and Public Policy, and Humanities, in particular literature, theatre and Irish Studies. For more information visit http://www.nuigalway.ie or view all NUI Galway news here.